contact us with your applications today. we can be reached at (269) 382-2050. 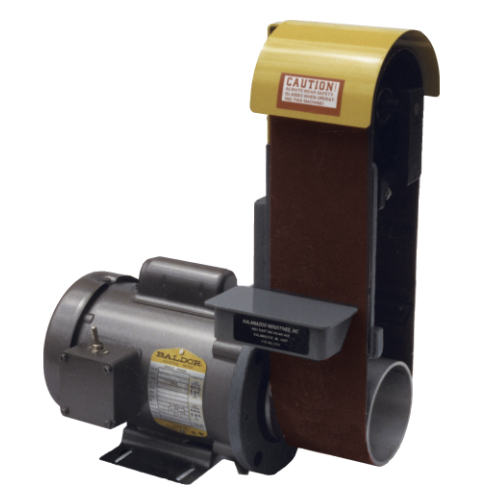 S4 4 x 36 industrial abrasives belt sanderis great for sharping knifes, and other blades! This unit can hold all forms of 4 x 36 belts which will allow you to get your desired finish. 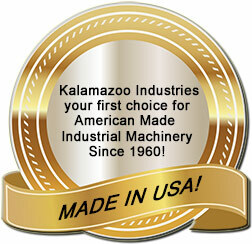 Kalamazoo Industries S4 4 x 36 industrial belt sander is sold with a 1/2hp 1ph, 110V motor. Great for general deburring and sanding whether it being used in a machine shop, wood working shop and other fabrication shops. 1/2 HP (1 HP available) 1 phase /110/220/60hz.